This three-hour workshop on October 17th 2015 in Bath with Paul McVeigh was a great success. 22 people found out how to make a strong impression with the first page of their short stories. 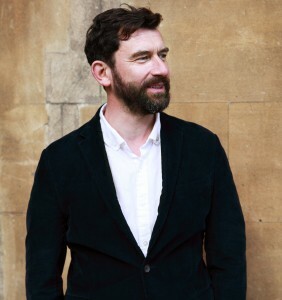 Paul’s a co-founder of the London Short Story Festival, Associate Director at Word Factory, the UK’s leading short story salon and a reader and judge for national and international short story competitions. We hope to have him down in Bath again to run another of his great workshops. Find out what competition judges and journal editors look for in a short story and how to avoid the rejection pile. You’ll get tips on staying focused, where to start the action, how to write with emotional impact, and how to edit your story Then you’ll have a go at writing the opening of your story and get brief feedback from Paul. You’ll also look at submission opportunities; how to find them and where you should be sending your stories. Paul McVeigh’s short fiction has been published in journals and anthologies and been commissioned by BBC Radio 4. He has read his work on BBC Radio 5 at the International Conference on the Short Story in Vienna, the Belfast Book Festival and the Cork International Short Story Festival where he is appearing again in September this year. He is also appearing at the Wroclaw Short Story Festival Poland in October. Paul’s novel The Good Son was published to acclaim in April by Salt publishing and has recently been short listed for the Guardian Not the Booker Prize. This year he is judging the Penny Dreadful Novella Prize alongside Sarah Baume and Colin Barrett, The I is Another Short Story Competition alongside Laura Del Rivo and is the sole judge of the Bare Fiction Short Story Prize. Last year this Killer First Page workshop was a sell out in Melbourne Australia, and Waterstones Piccadilly. Spaces limited to 20. This entry was posted in Events on August 25, 2015 by Editor.